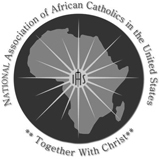 NAACUS promotes and supports Pastoral Care of African Catholics in the United States. NAACUS shall bring together all African Catholic communities in the United States while promoting their faith, and ensuring active and full participation in support of the Church in the United States and Africa. The vision of the Organization is to promote a vibrant and visible African Catholic Community in the Church in the United States. • To promote awareness of the presence of African Catholics and their respective heritage and cultures in the United States, and their contributions to the Universal Church. • To encourage the celebration of the Catholic Liturgy in the ethnic languages and cultures. • To dialogue and advocate for and strengthen the African Catholics' connection to the local diocese, with the USCCB, other national Catholic Organizations, and African Associations in the United States. • To raise awareness of pastoral needs of African families, youth and young adults. • To support the strengthening of African marriages and family life, and nurture vocations to the priesthood, religious life, and lay ministry. • To develop and pull African resources, share religious experiences to improve and strengthen our lives as African Catholics. • To foster dialogue and collaborate with other ecclesial communities. • To encourage inter-religious dialogue in and among African communities. • To advocate for social justice within African communities and the U.S. society. • To Empower and enable Catholics of African origin residing in the United States to help evangelize themselves and their local parishes. We, the members of this Organization, in order to promote awareness of African Catholics in the US, bring together all African Catholic Communities ensuring full and active participation in the Catholic Church. We also bring to the Church’s attention the issues affecting African Catholic Communities, and advocate on behalf of African Catholics in the United States.